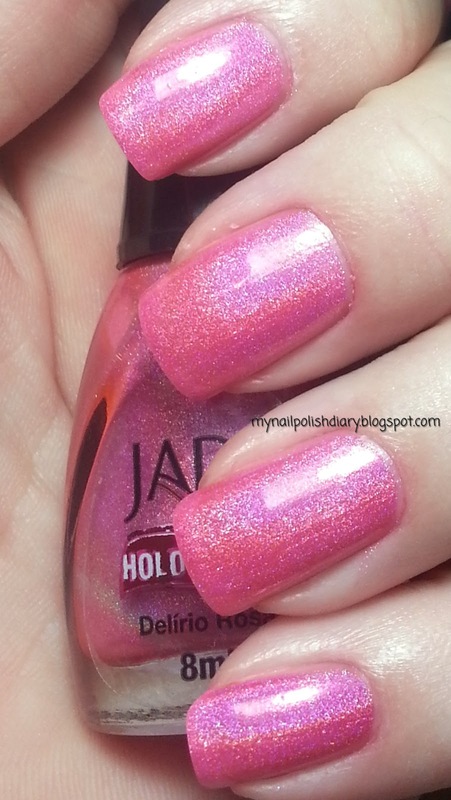 I recently bought 5 of this Jade holo collection - they are stunning. The only one I have that I am not totally crazy over is the gold one - mine looks greenish and not a good greenish - more of a throw up green which is not how I have seen it in photos at all. The black one is really pretty too. I'm with you on the gold one. It doesn't really suit my skin tone. I absolutely love this baby pink. I love all things pink though :) Thanks for looking!